Melt the butter in a suitable pan and add the leeks cut into julienne, the garlic and the chopped lemon thyme leaves and the water to prevent from browning. Sweat until tender. Allow to cool, drain and add the ricotta cheese, then season. 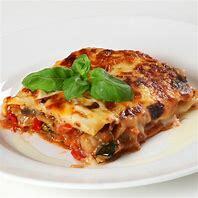 Cook the pasta sheets in boiling water for approximately 3-5 minutes. Spoon the leek filling along the short edge of each sheet and roll up. 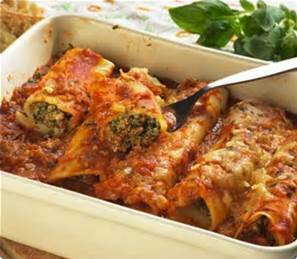 Arrange the cannelloni seam side down on top of the tomato sauce. 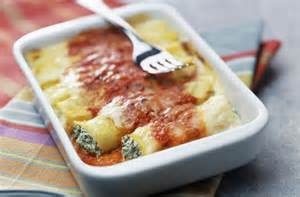 Mask with cheese sauce, place in a hot oven to glaze and reheat the cannelloni.